November 5th was no ordinary Bonfire affair for the Morpheus Soul family, as we were proud to announce that our first special guest of the month was the super talented Colonel Red!!! Singer/songwriter/producer Redz has just recently released his fantastic third album ‘Keep Walkin’ on Tokyo Dawn Records. Colonel Red‘s first album ‘Blue Eye Blak’ was released in 2005, and in 2009 he gave us the brilliant ‘Sweet Liberation’ both on the Ruff Language Label. We talked music & life with Redz as well as playing a large selection of his back catalogue…Plus, a LIVE jam session alongside The Temporary Resident’s very own vibes-master Lyrickal. So Dope! 4th week in the chart and down two places from last weeks number two. 4th week in the chart and a non-mover. 3rd week in the chart and up two places from last weeks number four. 5th week in the chart and week four at the top spot. 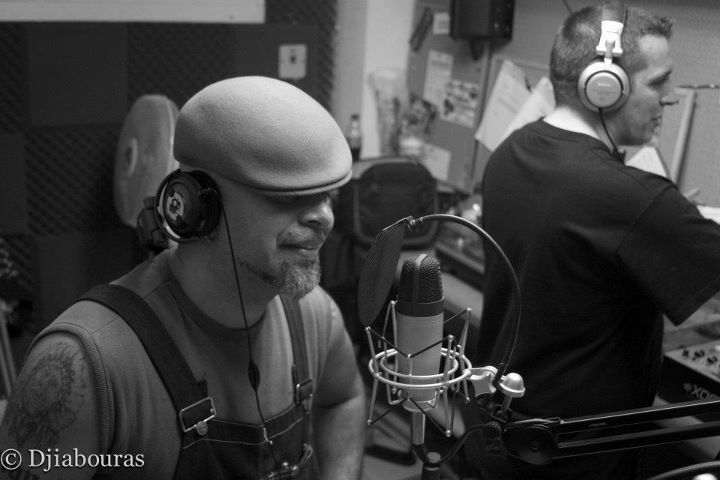 A LIVE JAM SESSION: Our Studio guest ‘REDZ‘ aka Colonel Red gets live and direct in the studio with The Temporary Residents one & only vibes-master Lyrickal! Off The Chain!! !